CREEKSTONE FARMS WOODWORKING was founded in 1994 by Bret Dolbear. Bret has been designing and building custom furniture, cabinets and built-ins for over 30 years. Creekstone Farms is a turnkey operation, designing, building, delivering and installing custom cabinetry for every room in your home. Bret Dolbear and his crew are experts at turning designs or ideas into beautiful woodwork that suits the client’s needs and reflects their personal taste and style. They work with designers, builders, and homeowners to ensure that they are completely satisfied with their custom cabinetry. Consultation and approval are an integral part of the process: clients are given 3D views of the designs, and samples of the exact wood and finish that will be used for their project. Years of experience allow Creekstone Farms to give accurate estimates for each project. At Creekstone Farms Woodworking we proudly deliver the most satisfying building experience through our rare combination of superior craftsmanship and professional service. 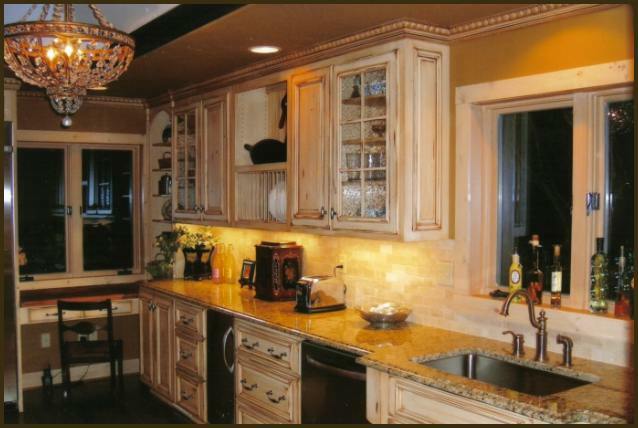 Contact us for a consultation on your custom cabinetry project.